Little Governors' Camp rests in a forest clearing overlooking a water hole near the banks of the winding Mara River, the lifeline for these grassy plains that are home to the world’s most spectacular annual migration. 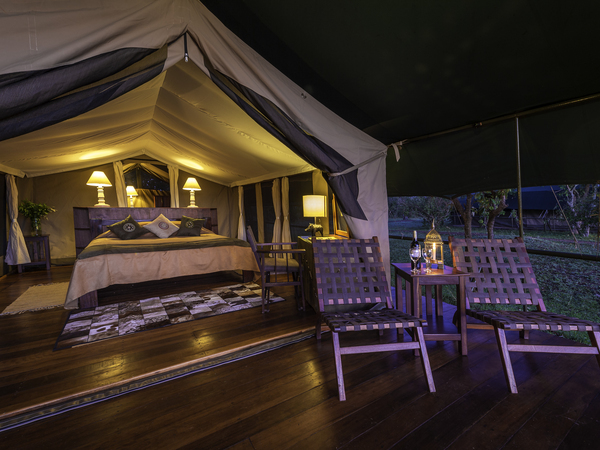 The camp is approached via a boat ride across the river, then an escorted walk through the riverine forest, ensuring the ultimate in quiet seclusion. 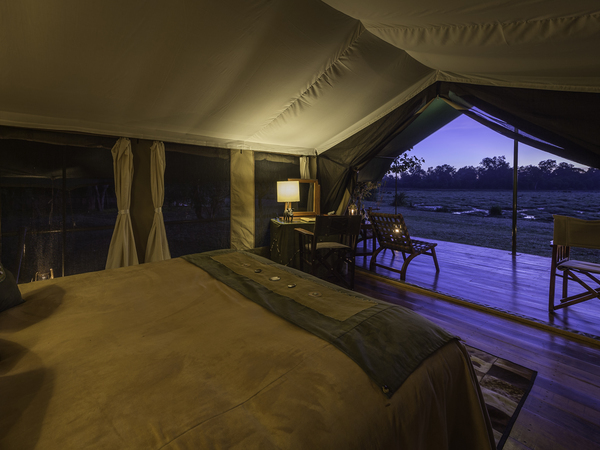 Observe the constant wildlife drama around the watering hole from the private wooden veranda of your tent. 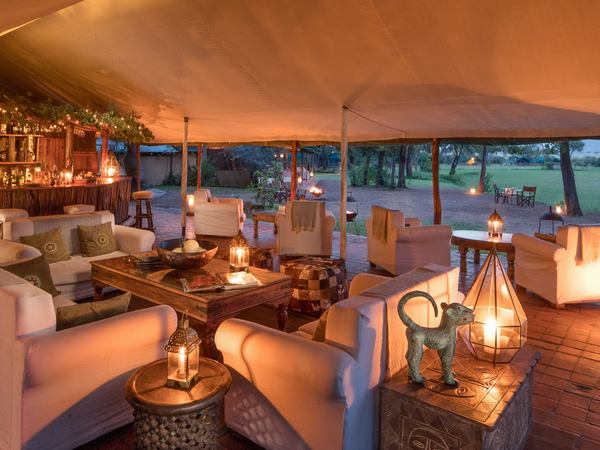 One of the more beautiful tented camps in all of Kenya, the approach to your luxurious tent when you first arrive–by boat across the river and then escorted walk–is truly unique. 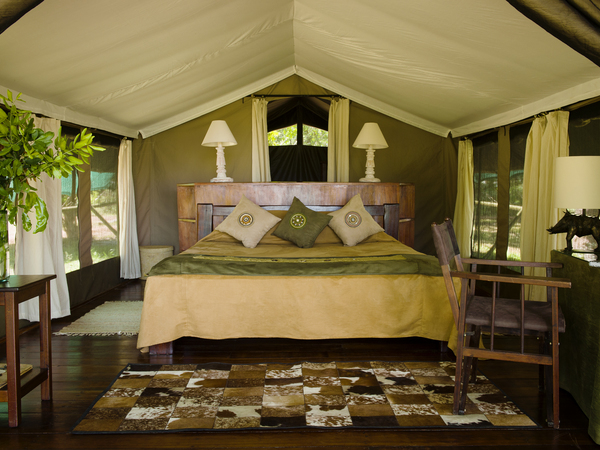 Furthermore, the new verandas on each tent offer incredible views and regular wildlife sightings. 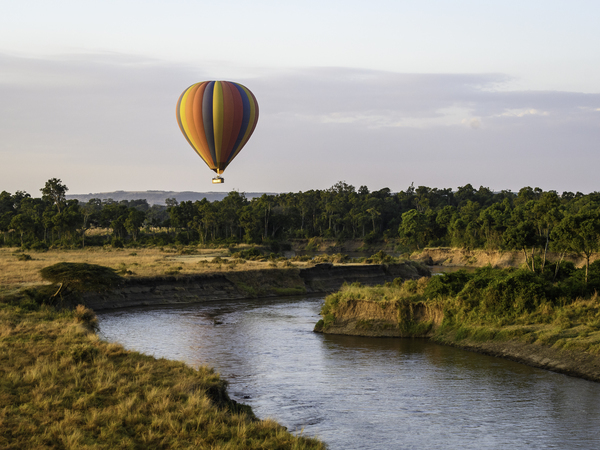 A great way to see the Mara! Little Governors' 17 luxury tents are tucked around a large watering hole that teems with birds and animals, including a resident family of warthogs. Elephants are also frequent visitors to the lagoon, providing amazingly close-range sightings. 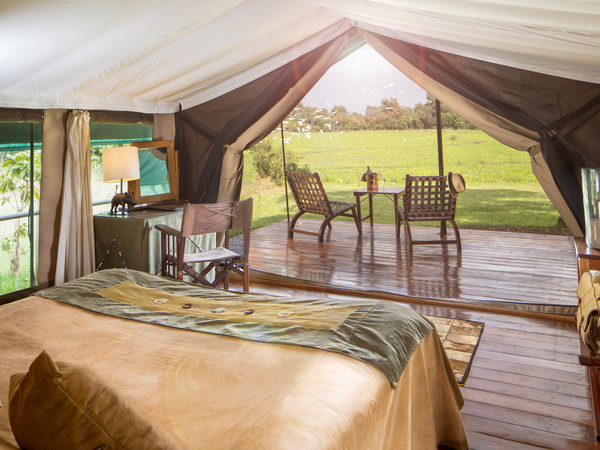 The spacious guest tents, all with en suite facilities, have been recently renovated and have individual wooden decks with large verandas for a front-row seat on the constant wildlife activity. 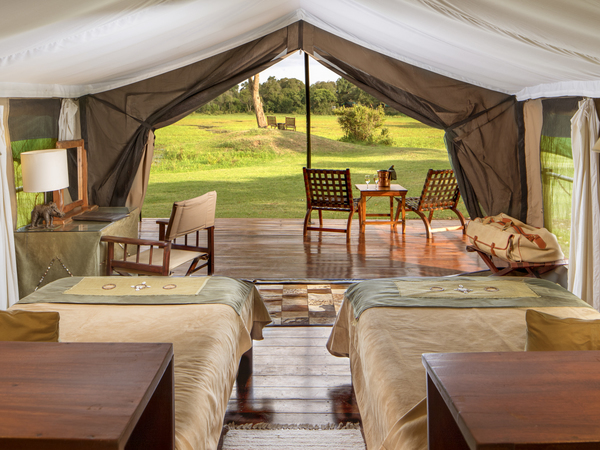 The traditional tents are constructed in the local Luo style and feature dark hardwood floors and furnishings, gleaming wood wainscoting in the bathrooms, and canvas walls that open up to reveal netted windows for unobstructed views on three sides. Guests may dine in an open-air dining room beneath canvas or on white-linen-draped tables around a blazing campfire under the stars. 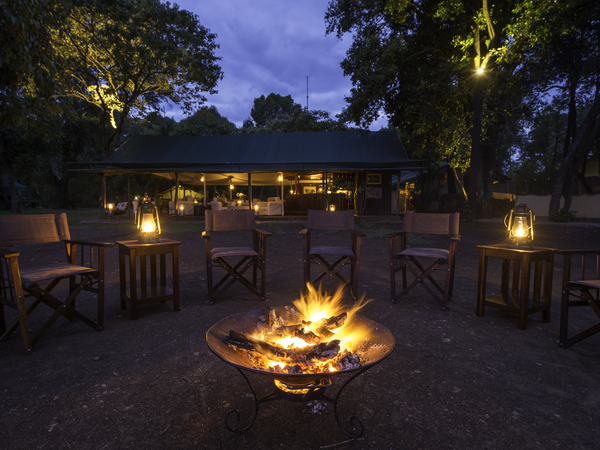 In the morning, enjoy fresh, hot biscuits before setting out on an early wildlife drive, followed by sumptuous bush breakfasts. At night, you’re spoiled further with hot-water bottles hand-delivered to each tent. 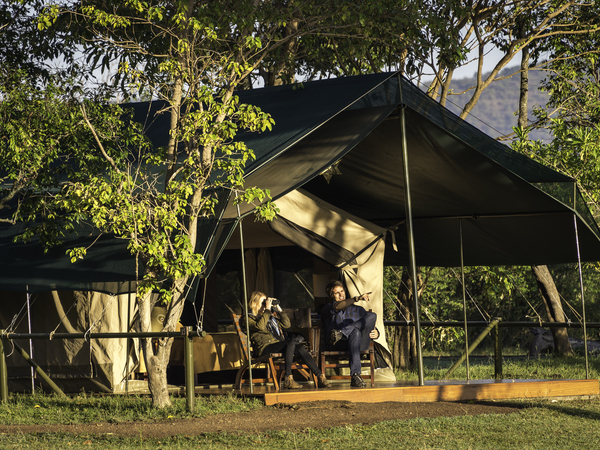 Little Governors’ Camp immerses visitors among some of the planet’s most extraordinary wildlife while enjoying fine accommodations in harmony with the natural rhythms of the setting. 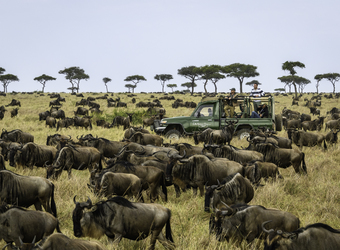 Tucked within the rolling grasslands of the Maasai Mara, the camp is witness to one of the greatest spectacles on earth: the annual migration of more than a million wildebeest and zebra crossing the plains in search of new grass. 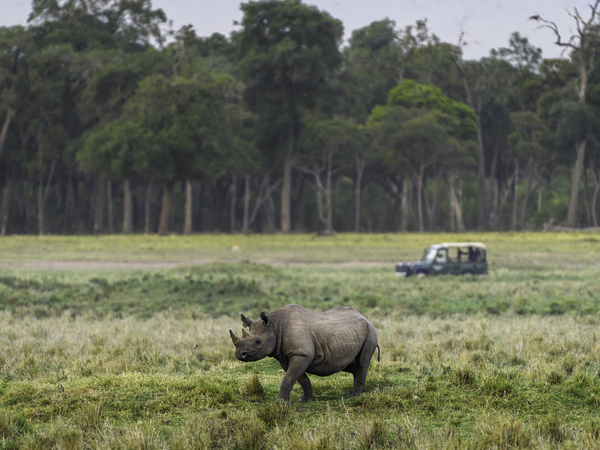 The Mara is home to prolific wildlife at all times, however, with herds of buffalo, giraffe, elephant and gazelle; prolific predators like hyena, cheetah and lion; hippo and crocodile in the rivers and lagoons, and hundreds of different bird species. 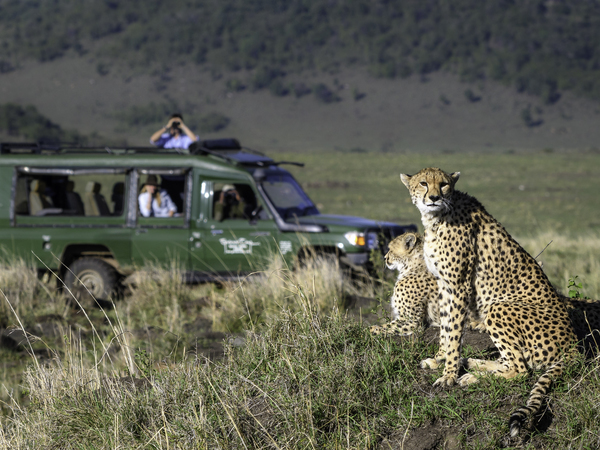 Guests experience intimate wildlife encounters during 4 X 4 drives, and walking safaris that take place in a private concession adjacent to the Maasai Mara National Reserve. 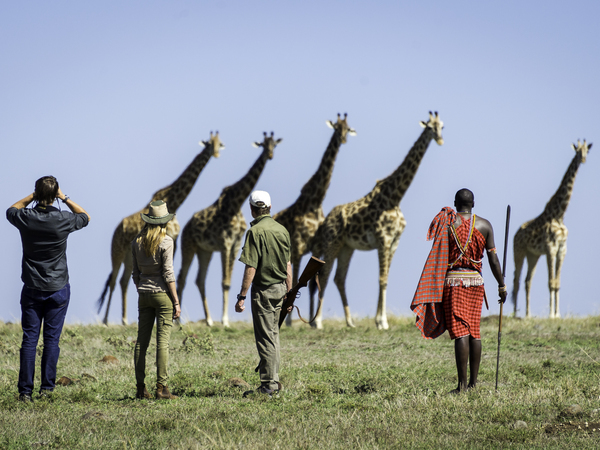 Accompanied by a Maasai guide, guests learn about Maasai folklore and traditional medicinal plants as they scout for wildlife. Hot air ballooning and village visits are also available. Little Governors’ Camp works with the Mara Predator Project to help protect and conserve lions. Throughout Africa lions face extinction because they attack livestock in areas outside national park boundaries and are sometimes killed in retaliation. 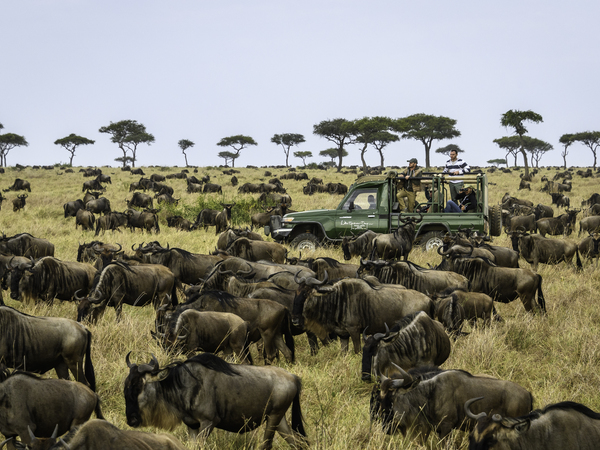 The Mara Predator Project supports science-based conservation approaches, working to reduce conflicts between predators, livestock and people. The project strives to improve livestock practices, study the behavior and ecology of predators living alongside humans, and monitor preservation efforts. 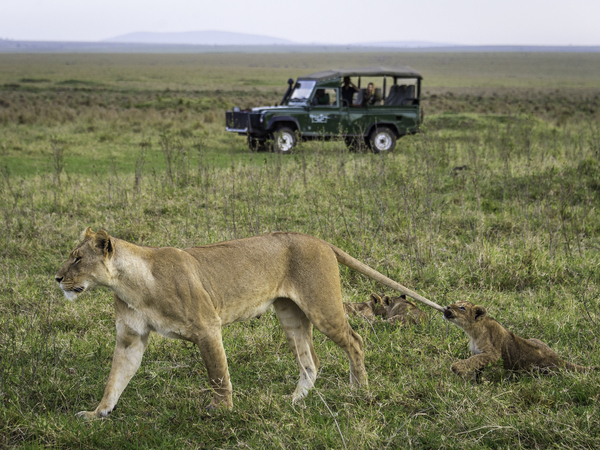 With the help of Little Governors' Camp guides and visitors, the Mara Predator Project monitors lions in and around the northern Maasai Mara. By building an identification database for local lions, the project tracks pride homes and population trends in order to employ more effective conservation strategies. Guests at Little Governors’ Camp may contribute to the project by submitting images online at www.livingwithlions.org or by reporting their lion sightings to camp staff. 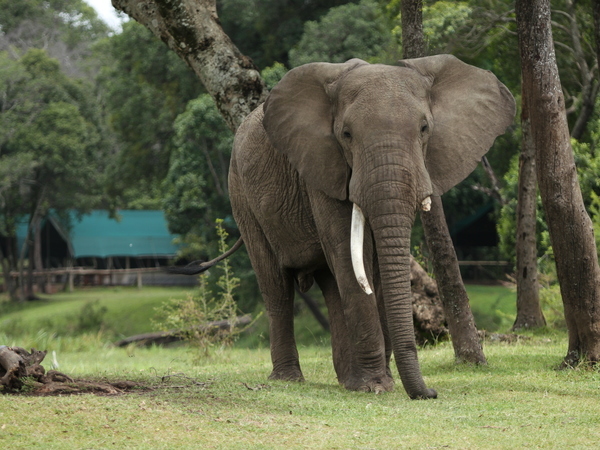 "Beautiful camp, great setting, we never had elephants walk thru but they do! I can't give it 5 stars because of the noise of the balloons being blown up at 5am, and the workers walking behind your tents back and forth all hours of the day and night. Our guide was not a wealth of knowledge. 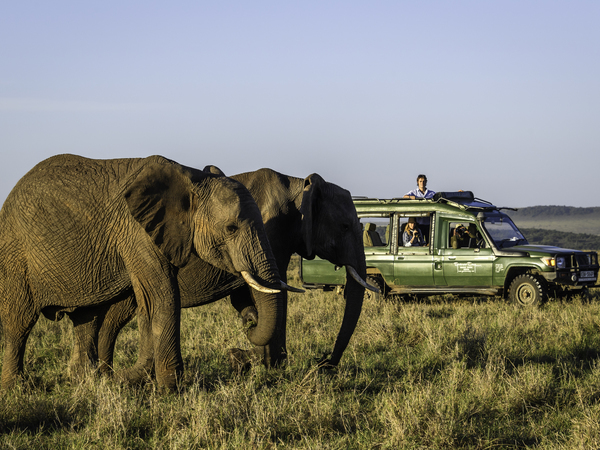 I found myself teaching about the animals to the 1st timers who were with us, because he just drove the vehicle." "Stayed here just one night but can highly recommend this hotel. The room was very spacious, furnished beautifully and spotless. The bed and pillows suburb. The restaurant food was of high quality, plentiful and nicely presented. The game drives were exciting and full of wildlife sightings and the guides knowledgeable of all creatures, large and small. The gift shops was a treat and all the staff were friendly." 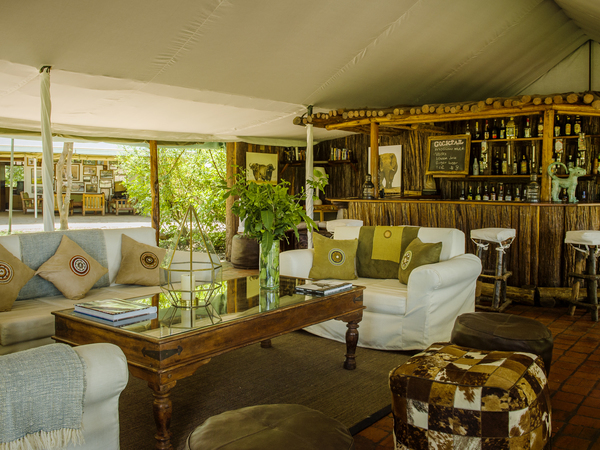 "Little Governor's was a very classic safari tented camp. We were just amazed at how much wildlife came through the camp! We had zebras and warthogs right outside our tent in broad daylight. 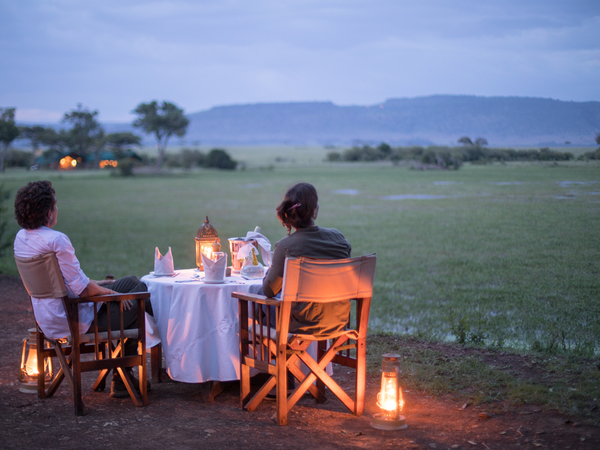 They say they are the first to have put up a safari camp for photo safaris in the Masai Mara, and you can definitely tell that they've been doing this for a long time. 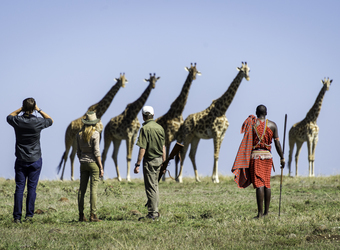 It's a very traditional, classic safari experience. Nothing too fancy, but top-notch service, food, and EXCELLENT wildlife in this area from what we experienced!" When did you visit Little Governors' Camp?